A German commuter who knitted a "rail delay scarf" detailing her transit woes fetched €7,550 for the garment on eBay. The mystery buyer of the 1.5-metre scarf was German railway company Deutsche Bahn. All proceeds from the auction were to be donated to Bahnhofsmission, a charity helping vulnerable passengers at German train stations. 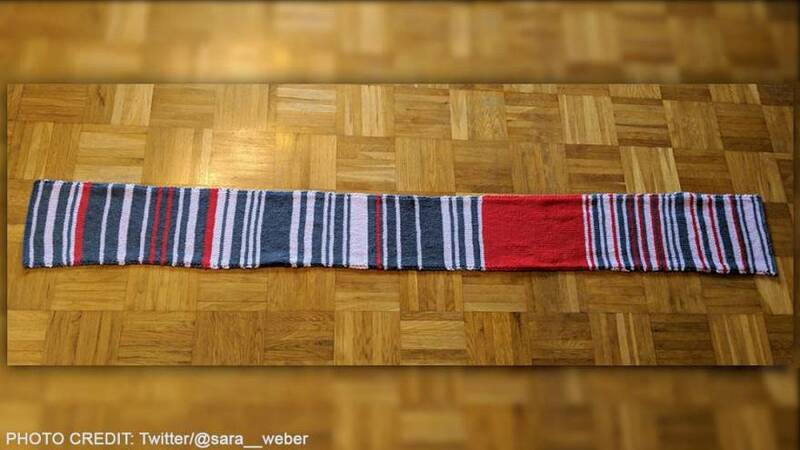 Earlier this month, journalist Sara Weber created a buzz on social media after she shared a picture of the scarf, knitted by her mother. Claudia Weber's, 55, colourful creation represented the various lengths of delay she experienced on her train journey from the past year between Moosburg and Munich. Weber said her mother knitted "two rows per day" and she chose "grey for [delays] under five minutes, pink for between five and 30 minutes delay, and red if she was delayed on both trips, or one trip by over 30 minutes." Bahnhofsmission posted on Facebook saying it was "very happy" with the donation.